In July, 2011 Edge convened The Science of Human Nature: The Edge Master class 2011 in Napa, California. We are pleased to pubish the complete video, texts, and downloadable MP3 audio of the six classes: Princeton psychologist Daniel Kahneman on The Marvels and Flaws of Intuitive Thinking; Harvard mathematical biologist Martin Nowak on The Evolution of Cooperation; Harvard psychologist Steven Pinker on The History of Violence; UC-Santa Barbara evolutionary psychologist Leda Cosmides on The Architecture of Motivation; UC-Santa Barbara neuroscientist Michael Gazzaniga on Neuroscience and Justice; and (to come) Princeton religious historian Elaine Pagels on The Book of Revelation. Click here for the Edge "Event" page for Edge Master Class 2011: The Science of Human Nature. [MICHAEL GAZZANIGA:] What I'm going to do is talk about neuroscience and how it may impact justice. I had to give a talk recently to judges and lawyers, but it really is the same talk you would give anybody. It is a summary of four years of effort that I've put into this MacArthur Law and Neuroscience project. How that came about is there was a meeting in New York of lawyers, philosophers, neuroscientists, and psychologists. They met four or five years ago to talk about whether one should study the topic of law and neuroscience. I left the room to go to the bathroom or something, I came back and they said, okay, you're directing it. So don't leave the room when these things are going on because you get saddled with surprises! 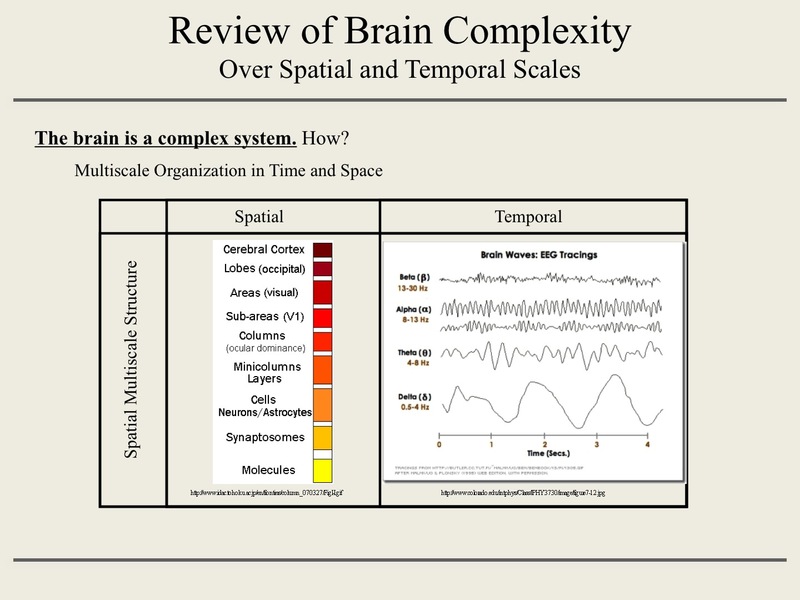 Since "basic neuroscience for judges and lawyers" was exactly the wrong talk for you at 3:00 o'clock this afternoon, let's say "perspectives on basic neuroscience" because the former one reminds you of your high school biology class which most of you probably didn't like. I'm going to give you the fastest three-minute review of neuroscience. As I said I just gave to the judges of the Second Circuit Court of New York. Many of you maybe have cases in front of the Second Circuit, and they have a retreat every year up at Lake Sagamore , New York. The idea is: You can't, obviously, for someone who's not in neuroscience, you can't communicate the wealth of neuroscience in a hundred lectures, let alone one, let alone a few minutes. But you can kind of get a feel for it. I want to take you through that feel and then take that into the question of how is this field of neuroscience going to impact how we think about the law and, more importantly, how we think about justice. So here's the fastest three minutes of neuroscience ever. It basically shows you there's a bunch of tracks in the brain. And these tracks weave around and have specific connections. And they wind up connecting to areas that are processing centers. Put all this together, as you can see here, and we discover little areas that are brighter than others. And this is all now easily done, as everyone knows, in brain imaging labs. The specificity of actually combining the centers (where information gets processed) with the actual wiring to those centers has been a very recent development, such that it can be done in humans in vivo, which is to say, in your normal college sophomore. We can actually locate their brain networks, their paths: whether they have a certain kind of connectivity, whether they don't, and whether there may be an abnormality in them, which leads to some kind of behavioral clinical syndrome. In terms of the Neuroscience and Justice Program, all this leads to the fact that that's the defendant. And how is neuroscience supposed to pull this stuff together and speak to whether someone is less culpable because of a brain state? Then you say, well, okay, fine. But then you go a little deeper and you realize, well, this brain is a very complicated thing. It works on many layers from molecules up to the cerebral cortex; it works on different time scales; it's processing with high frequency information, low frequency information. All of this is, in fact, then changing on a background of aging and development: The brain is constantly changing. You have the reality of this brain. How does it work? Well, it is an amazing thing, of course. And it's a 24/7 brain, it's always going on, it's always changing, patterns of activation are constantly shifting around. This (points to brain scan image) is measuring the resting state of the brain, as provided by my colleague, our colleague, Marc Raichle. You realize that here is a dynamical system that is constantly in change. Given that, how can even neuroscientists begin to think that they can capture what somebody's brain state was six months ago or a year ago or six years ago when they committed a particular crime? Much of the potential use for brain imaging in a court of law calls upon dynamic processes that were achieved, and certainly not recorded, at the time of the crime. How are people going to spin this story to the extent that they think they can speak to the diminished state of somebody using this kind of data? Let me just jump to the answers and then I'm going to go through and show you why we're there. The answer is neuroscience is of no immediate use. This became crystal clear to me after working four years with lawyers and neuroscientists and philosophers. There's three classes of animals in law: there's the judge who's intensely interested in all this work because they're up there having to mete out punishment and what have you; there's the law professors who hold on to deep views about the nature of law and retribution; and then there are the lawyers, the practicing lawyers who've got 30 people in their outer office that they've got to defend. Now, the practicing lawyer asks is this thing useful, can we use it tomorrow? Can we use it the next day? Can't? Out. Next problem. So, after four years of this I realize, look, the fact of the matter is that from a scientific point of view, the use of sophisticated neuroscientific information in the courtroom is problematic at the present. But the whole point is that it will be used in powerful ways in our lifetime. I'm going to give you a couple of examples where it will be used to perhaps measure and capture the problem of juvenile impulsivity and to understand psychopathy. These were projects that were carried out on this grant. The second larger question is, it seems to me, does neuroscience loom as the science that will influence how the public thinks about justice? As the neuroscience deepens and becomes more clear about the mechanistic nature of our brains and our lives, that knowledge will come to be a very big part of the public consciousness. It will raise questions about how we deal with punishment (depending on how we view the nature of our lives) and how we come to understand justice. There's a lot hanging here in the balance, and a lot that's important. That is the real meat of this nexus of neuroscience and the law. And then I'll just make a remark about how I think we have to keep informed. For those of you that aren't neuroscientists, the basic view that is predominant in the field is the brain has a very modular organization. It has multiple parallel and distributed local processing centers, just like any other informational system, probably. But that information has been hard won information, over years. I want to show you a little bit of data that shows you why we think this is true. The point is that the brain has a lot of specific areas that are involved in particular activities. So that's roughly, crudely called the modular view. 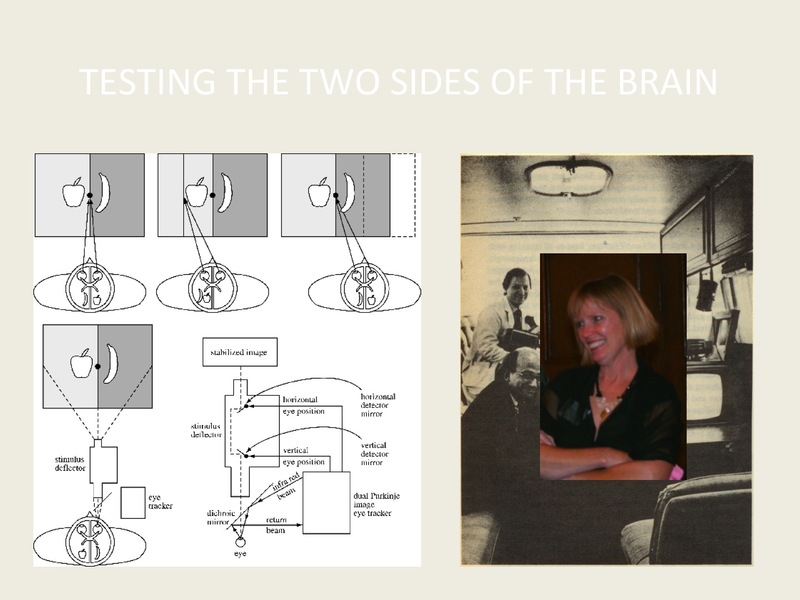 And I just throw this slide in to point out how much neuroscience has changed, not only in my life, but in the last five years. 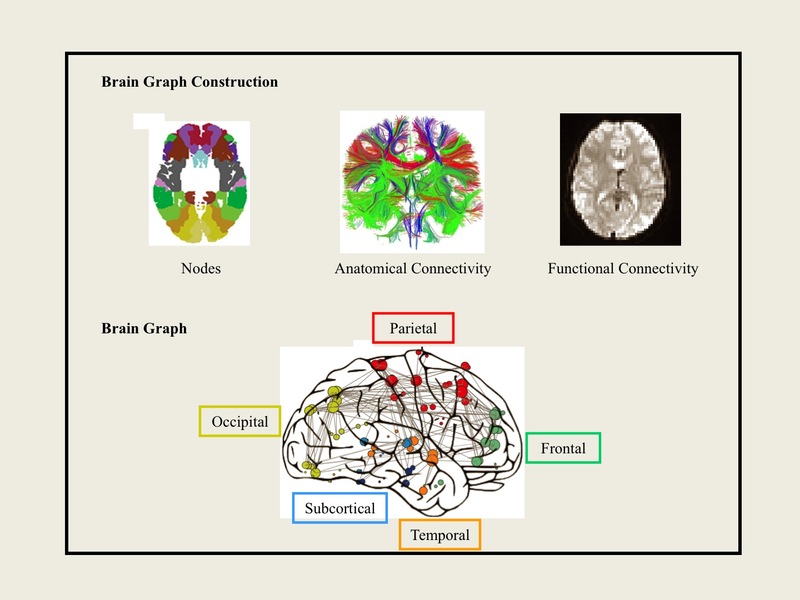 The traditional notion was that there are zones in the brain that do particular things, and there are connections to those zones. 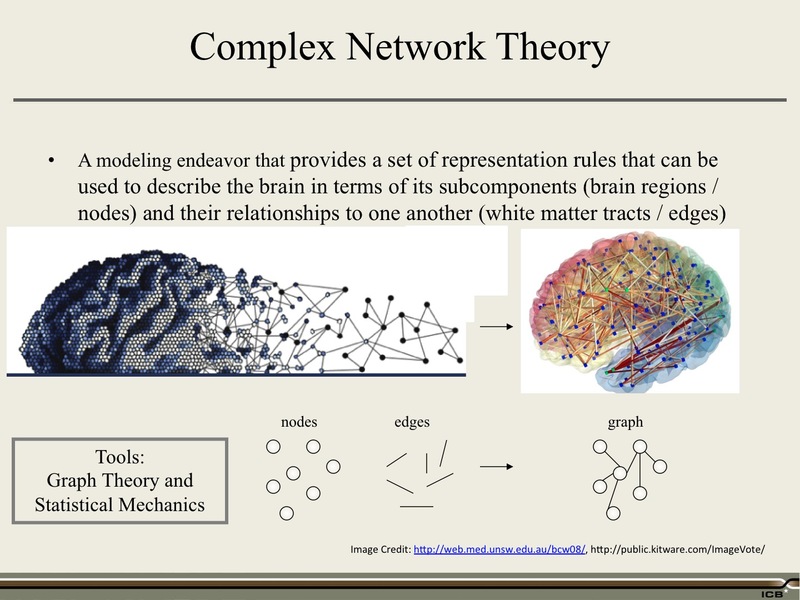 The current view is to take the brain, and through imaging capacities, modularize it by the pixelizations, and then analyze that, using things like graph theory, to give a multi-variant capturing of any particular brain state that you're interested in studying. What's happening is the modern neuroscientist isn't the guy who came up through the labs with cortical slices under the microscope and lesioning animals and studying their behavior. That is so rankly crude to what now is the case, that we are now under the gun to basically retrain our new graduate students to be sophisticated control engineers, computationally sophisticated, and that's the way it's going. Not only are we not studying the neurons, by virtue of the fact that we study blood flow when we're studying brain imaging, we're now taking it up a step above that and just seeing it as variations in these pixels. That's a big data problem, and people who are sophisticated in big data problems are rushing into neuroscience now to try to give aid. Let me start, let me ground it: so there was this notion of the parallel, distributed, modular brain, that did all this processing. Where did that come from? A lot of it came from the clinical world over the years. And a lot of it came from the behavior of people who have lesions in the frontal area, the occipital area, any area of the brain. And then this behavior was very carefully analyzed over the years by neuropsychologists, and so forth. I'm going to show you a few examples of this. This first example is a man who has a lesion in his left visual association area and it renders him agnosic, so he can see elements, he can see just perfectly well like everybody in this room, but the information that allows him to call the item a triangle is defunct, and he can't do it. All he's (the interviewer in the video) is asking him to do is to name what he's drawing. He called it a square. He sees it, it's there, he doesn't have a sense for its shape. Again, from people with this kind of story, we could build a story about the flow of visual information and how it gets processed and so forth and so on. Higher order things also can be effected with specific lesions. One of my favorites is called "Reduplicative paramnesia." What it does, when you have this lesion, is you think you're at a particular place in space even though you're quite clearly at another place in space. But you maintain you're somewhere else. And otherwise, you're totally sane and normal. There was a patient at New York Hospital, when I was there in my earlier life, and she had this disorder. She maintained that she was not in her hospital room or the hospital testing lab. She maintained she was in her home in Freeport, Maine. She was carrying on a dialog that she was in her house, and we were saying where are you going to have your operation? “Well, I'm going to have the operation at Memorial Sloan Kettering with the experts.” And then she's talking about her conversations with, actually, Jerry Posner, Mike Posner's brother. Small world. And she's saying that "Dr. Posner asks me all the time where am I. And I finally have decided to just tell him I'm in Memorial Sloan Kettering. Just to shut him up." Well, where do you think you are? “Well, I know I'm in Freeport...,” on and on and on like that. Remember, this woman is sitting there reading The New York Times, going through it and doing the crossword puzzle. And yet, she's got this little tumor in the right parietal zone that produces this kind of syndrome, and bingo, you know, you get these things. Wernicke's aphasa is a very specific lesion, where the person just speaks gibberish, is socially appropriate and all the rest of it, but they are not at all, in any way, responding to the person doing the interviewing. And here is another example of an orbital frontal lesion type patient that Bob Knight is interviewing. It just shows the strange affect they can have. It shows that personality sorts of things will start to unwind with specific lesions in and around the frontal lobe. 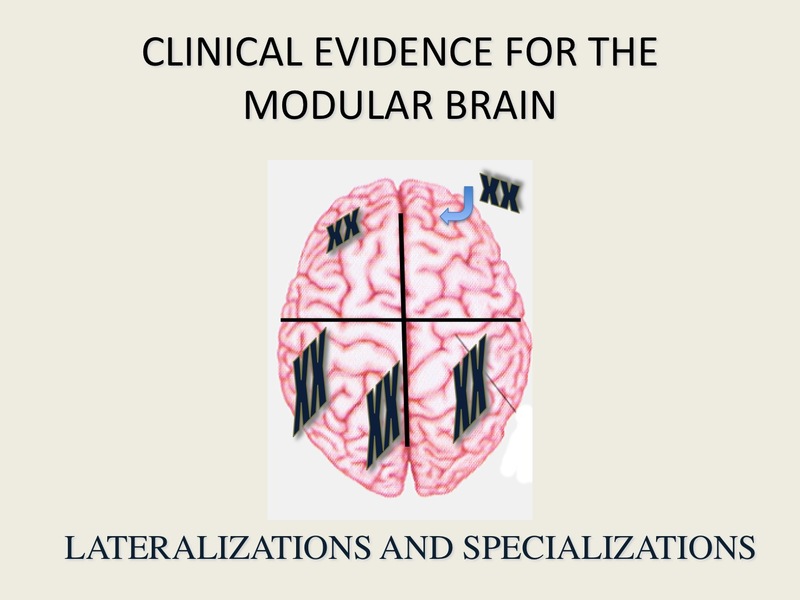 All of this, collected together over the years, gives rise to modular ideas of specific brain areas that are doing particular high-level functions. And now these classic clinical demonstrations are being examined using modern techniques. And here's a series of studies, carried out by Ernst Fehr and his colleagues, where they were trying to find out, using the Ultimatum Game, if there are particular parts of the brain that may be involved in making fairness judgments: Could you zap them, and in zapping them, could people change what they consider fair in this famous economic game? And sure enough, he does. He finds areas in the right prefrontal area, which when you zap, people change what they consider fair in the Ultimatum game. And they don't change, they behave normally, when you zap in all the other zones around. This involves TMS, which is this gadget, sort of a stun gun for smart alecks. You can zap and anesthetize little parts of the brain in a very transient way. You can do a reversible lesion is how the community thinks about it. We know that higher order functions, making fairness judgments and so forth, are obviously alive and well and in specific areas in the adult brain. Does this also pertain to babies? Do we come from the factory with this stuff? There's a wonderful series of experiments that are just coming out with Renee Baillargeon and David Premack where they're looking at how early babies begin to show sense of fairness and can make reciprocity judgments and all the rest of it. …So what they do is they have their animated giraffes (puppets), bouncing around in front of the kids, and then they distribute food. And so long as the food is distributed equally, the babies are just nonplused by the whole thing. If one get more food than the other, they get upset. Now, if you trade out the puppets, which the babies have judged as animate--a real-life situation ... and you put in plastic, inanimate giraffes in their position and you do the same test, the babies do not care if one gets more than the other. Then they do these other studies of reciprocity, where, basically, there's stimulus A and stimulus B; A takes a cookie away from B: A steals B's cookie. All right? And then the baby is not surprised if B steals it back. Dave and Ann Premack were the ones who did this first experiment, which is really fascinating. So now A hinders B ... goes over there and makes life difficult for B. Right? But baby is surprised if C comes over and now helps A, totally flabbergasted: because the coalition has been formed with this one simple act. They just are surprised that that sort of reciprocity would be violated. So the notion here then is, okay, so you've got these modules, some of them certainly come about through acquired experience, but there are a lot of them that are probably just part of the factory hardware that we get. And so we have this modular brain and this dynamic brain: that is what we start with. That is the deal we're trying to figure out and to understand. And now, given all the modern knowledge about all of this stuff, how are we going to use it in the court? 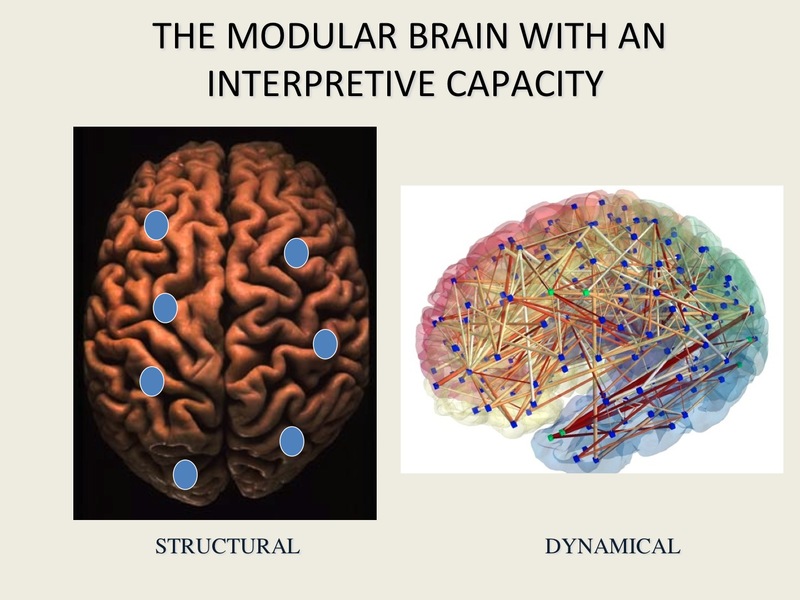 This gives me a chance to mention a piece of data of my own that we did a number of years ago that helps us understand why, even though we have these modular brains and these things are going on all the time and they're cranking out behavior and everything, we don't feel modular. We feel like we're in charge and we're the big cheese in town, and everything else. There's no sense that we're just going through, and life's being played out by these little modules doing their thing. This study that I want to tell you about came about by studying patients who have had their brains divided in an effort to control the interhemispheric spread of epilepsy. And so when I get to them, their brains have been divided. There's a left brain and a right brain, and the left brain talks and the right brain doesn't, and that's the starting point for the studies that we carried out. We used to test these patients in all kinds of ways. We tested in a mobile van, drove it up to New England where these patients lived, most of them, at the time. There I am with my team of guys. And of course, my wife, who did almost all the work. So here's what we came up with, finally, after 25 years, get this, 25 years of working with these split brain patients. 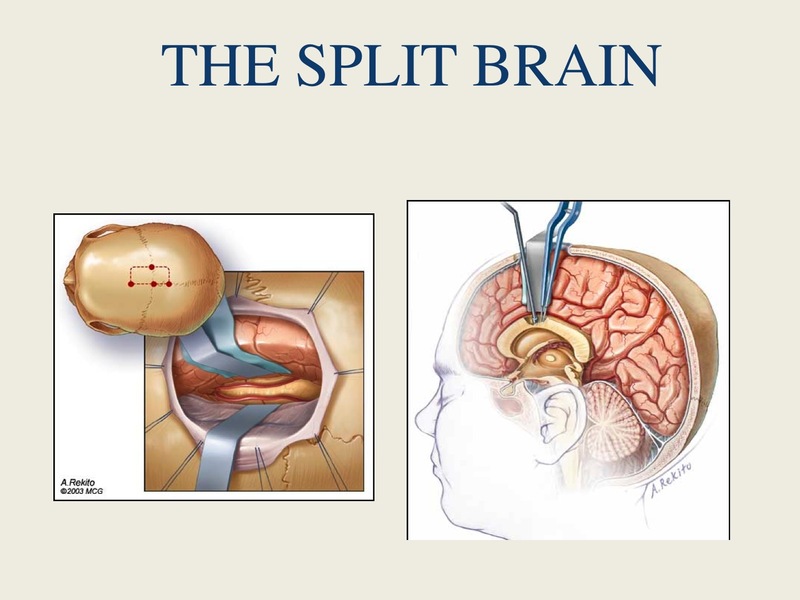 I was the first one to work with the first split brain patients, and it took me 25 years to think of the right question to ask them. And the right question was: "Why are you doing the things you're doing?" Here's what I mean. You look at this picture, you fixate on the point, and you see a snow scene and a chicken claw. Everybody sees that. And that's because this information goes to your right brain, it crosses over to your left speaking hemisphere and you tell me what it is. And this goes straight to your left brain, the chicken claw, so you just tell me directly from that experience in your left brain what it is. And split brain patients, when you show them this picture, if you just ask them what they saw, they would say, “Well, I saw a chicken claw.” And that's because the chicken claw goes to the left speaking hemisphere and they burp out the answer, “The chicken claw.” And they don't describe this at all (Points to the snow scene on the left of the picture, which goes to the right brain), okay? So years of testing has shown that nonetheless, though, the right hemisphere totally appreciated what was projected to it at the same time. And so, instead of asking for a spoken response, you just ask for a match to sample task (a match to sample kind of response). And so what you would do is show this picture, and now instead of asking the patient what did you see, you say, “point to the answer.” And so what would happen is the chicken claw goes to the left hemisphere, and the right hand, which gets its major control from the left hemisphere, points to the chicken, the most appropriate and matching stimulus. And then the snow scene goes to the right hemisphere and the most appropriate answer that the left hand can point to is the shovel. Okay, so you would get this kind of response. Now, what took 25 years to ask was, while the patient is sitting there pointing like that, and I said, “so Paul, why did you do that? Your hand is pointing to this thing; why did you do it?” And Paul says, “oh, simple” – (this is the left hemisphere talking now, of course, the left hemisphere is disconnected from his right) -- so Paul says, “well, easy, the chicken claw goes with the chicken, and you need a shovel to clean out the chicken shed.” His left hemisphere is looking down at the behavior of his left hand, sees it doing something, has to throw it into a context, does throw it into a context, and out comes this magical story about why he's pointing that way and doing what he's doing. 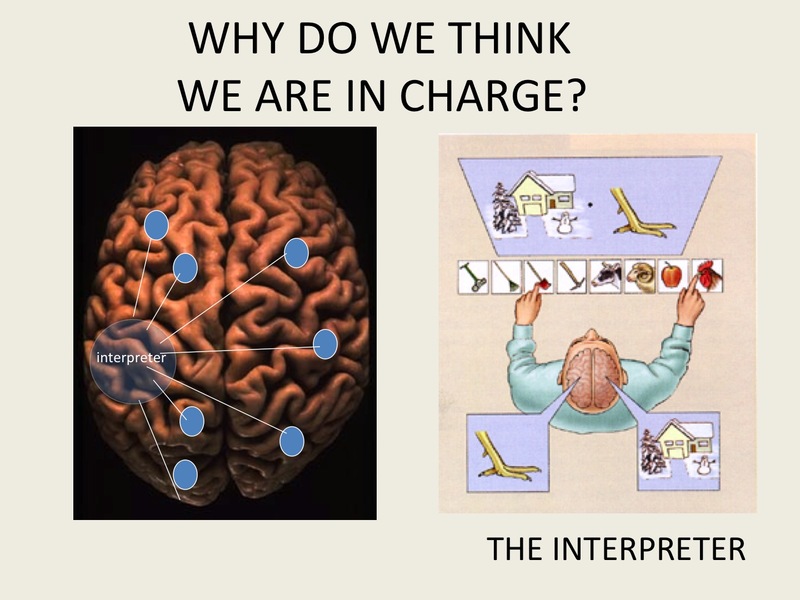 So why do we think we're in charge? Why do we think we're the willful, in control people that we all think we are? Well, you know, I'm moving my hand and I'm manipulating this pencil and I ask myself, who's doing it ? Well, I'm doing it. John's not doing it, I'm doing it. It's a perfectly reasonable theory that I'm doing it. We have this thing over here, in the left side, that we've called the interpreter. It's not in the right hemisphere, you can't get the right hemisphere to do this kind of thing. 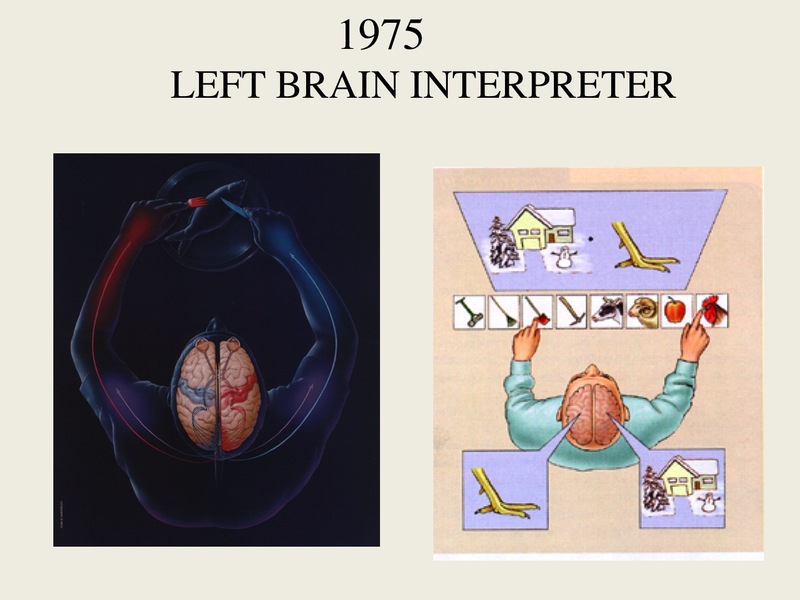 The interpreter is just weaving the story, the narrative that makes sense out of these modules that are constantly bombarding us with information, with actual behaviors, with felt states, with everything. We've got to tell a story about what's going on and that's what we think this narrative function does. With that background, how are we going to take this, how is any of this information going to be useful in a court of law? Let's say someone has a lesion in the center that makes their moral system go to hell: Their right prefrontal area is lesioned and they can no longer make a significant moral judgment. Should that be a mitigating piece of information? Well, from the classic case of Phineas Gage on, you've got a little problem with that argument which is that you can have a lesion, it goes through and knocks out one of these modules is the idea, module A gets knocked out, and the person happens to go a little nutty and create violence and gets arrested. And then the defense wants to say, well, it's mitigating because he's got this left frontal lesion or right frontal lesion or whatever the lesion is. The problem with it is that people with, say, left frontal lesions that begin to act a little strange, engage in some violence. Their base rate of violence only goes from 3 percent, which is kind of the base rate for normal violence of the kind that we're talking about, to 13 percent. It doesn't go like a switch, not like all of a sudden everybody's always violent as a result of this lesion. So going up in front of a court of law and touting your defendant has a left frontal lobe lesion and showing the scan would be easily demolished by any cross-examination, and all these other issues would come up. Well, wait a minute, take a step back here. This was obtained by averaging together nine or 90 brains, depending on the particular study. When you actually go in and look at the individual subjects within the sample, a lot of them show the dysfunctional area and a lot of them don’t, and that’s the problem of averaging data. So that's not going to work. There are people working on this. And people want to take two sets of data, figure out the individual variation that occurs within the average, and then see if one could get more specific about what you can say about a particular person's brain, pulling it out from the group data. And I would say that using the new complex network theories, where you're allowed to look at multi-variant assessments of a brain state of somebody, that the feeling is, and this is all very current, that using these new technologies, people will be able to say more and more about the specific state of someone's brain, given a particular behavior they're engaged in. There is data that has been out there that, suggests the teenage brain isn't fully developed and that's an excuse. There is other data - this is coming out in PNAS this week -that looks at it differently. You take a group of teenagers that are impulsive and engaged in all kinds of dangerous behavior and teenagers that are not and compare those two groups. You take resting state functional connectivity measures on them. What they're finding is (this again comes out of our colleague's Marc Raichle's lab in Washington University) that the non impulsive juveniles and normal controls, when everything is compared to their motor planning regions, their brain networks are associated with spatial attention and executive control (These are the parts of brain that just do normal things.) And so the teenagers who are not getting into trouble, that's the network that seems to be activated. This is very young, it's going to have to be developed further. But you can see that to the extent that this data winds up in the courtroom, there are so many levels that have to be dealt with. Not only do we consider the scientific level, “is this really valid”, but at some point, the culture has to decide, “will that count as an excuse?” And that is a total social decision on our part. So all those things have to be thought through. Another issue involves preventing future violence, can that be done? This is a favorite chestnut of the government. Some horrible violent thing happens and they form a committee: e.g. How could we have stopped Fort Hood? Right? How did we miss this? And of course, predicting violence is a common problem that's been around for a long time and parole officers deal with it all the time. In 1974 the American Psychological Association was asked what they thought about that and – I love this quote – "Psychologists are not competent to make such judgments." So they just kind of put it back and took it off the table that they were not doing it. But in fact, over the years, psychologists, using behavioral data, assessment data, actuarial data, are up to about 70 percent prediction on whether Mr. Jones when he gets let out, is going to engage in future violence. But that's not good enough, so the question is, is neuroscience going to add to that? That's kind of the big game in town. The specific game, though, and this addresses the issue of psychopathy, we now know that 25 percent of the people in prison are measured psychopaths. There are about 600,000 psychopaths in jail and there are only about 800,000 in the whole culture by current measures. So they're churning around and they wind up in jail. Every prisoner you will ever meet in jail, according to my sister-in-law who was the deputy chief public defender in Colorado, says, “I can't wait to get out of here; I'll never come back, it's horrible, I'm going clean.” Every one of them comes back. Well, not every one of them, but 64 percent of them come back, just like clockwork. So what is it? And the psychopathy (recidivism) rate is the highest. It is the highest among the psychopathy prisoners. Will neuroscience come along and develop measures to say, “well, you know, these psychopathy brains are just different? They got a little problem.” Will that problem serve as an excuse? I think that work that will speak to this- it's not being done now, but work close to it is being done - may show , building on the work of Jason Mitchell, a colleague of Steve's at Harvard, that when we now judge time, current time and future time, current reward and future reward, that there are two different brain regions involved. And so could it be that the psychopaths have a dysfunctional capacity to appreciate future rewards and discount it as a result. They go back into their culture, and they're captured by the immediate rewards. And they do their crime again and end up back in jail. I don't know. We're actually working on that very experiment. 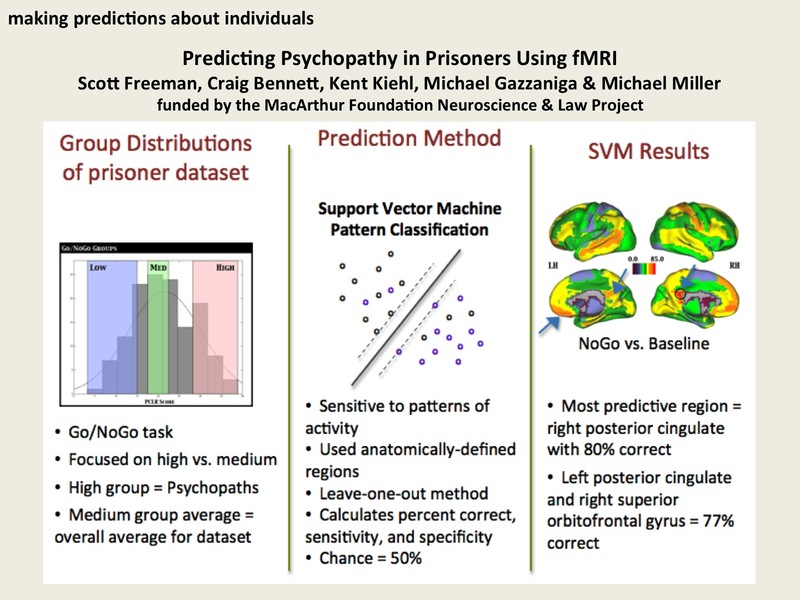 But in the meantime, we have just completed an experiment with Kent Kiehl, Mike Miller, Scott Freeman and Craig Bennett at Santa Barbara, where we're showing that the capacity in the posterior cingulate of psychopaths, using these new pattern classifier techniques, shows a marked difference in psychopaths versus non-psychopathic criminals. All this is coming down the pike. 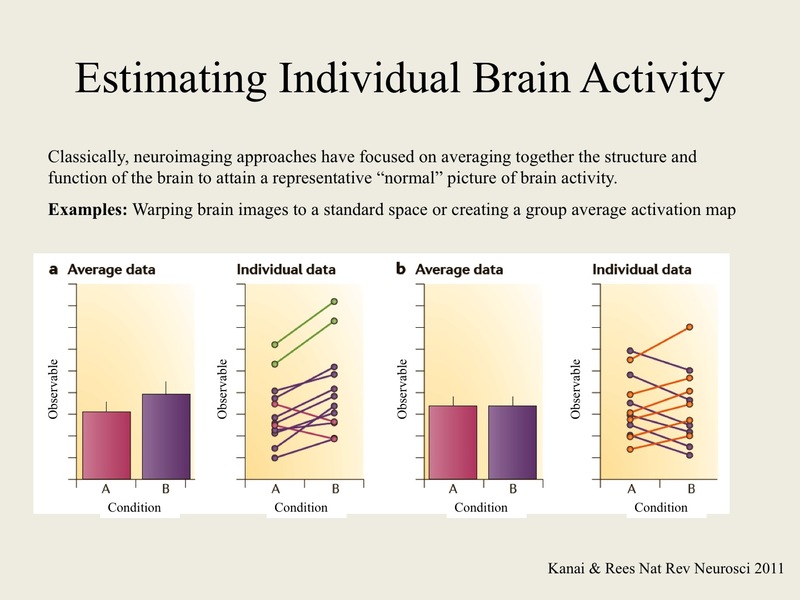 And again, going back to this Law and Neuroscience project, it's interesting to note that the scientists are sitting there talking about the veracity of the data, the exceptions, the this, the that, the other thing, and the lawyers are very good at talking about that. But then all of a sudden, the lawyers point out that, well, you know what, why don't you let the jury decide? This is good enough. I mean, the legal standard and the scientific standard are two different things. In fact, all legal evidence is kind of junk. I mean, all evidence is kind of junk, why not just throw this in as part of the stew? So Fred Schauer, who is a professor of law in Virginia and was on our governing board, after listening to this for three or four years writes this nice little article making this point. So again, there are all these social decisions hovering over all this kind of analysis. I'll wind up then with the larger impact this work may have on how we've come to think about ourselves and how, therefore, with that thought, we want to deal with justice issues in our culture. And just to remind you – this is true for everybody in the room here – there is nobody in this room that is not affected by the answer to this question. We had a horrible thing happen and we have this guy, we know he did it, what do we want to do with him? As a culture, we have to decide that, and how we decide that is going to be a function of how we think about these matters. And so, this gets into this whole question of determinism, and I'll go through this quickly. This is an old, old problem, everybody's been thinking about it for a long time. Here's Lucretius back in 50 BC, and he was worried about it. He wrote as you can see: "Again if all movement is interconnected, the new arising from the old, in a determinant order ... if the atoms never swerve so as to originate some new movement, that will snap the bonds of faith, the ever lasting sequence of cause and effect, what is the source of free will possessed of living things throughout the earth." Big problem. He stated it a long time ago. He solved the problem. He concluded that atoms do swerve! He went on to other things which was probably a good idea. And so, if you really think of the march towards determinism, it's all over the place from Copernicus, Newton, Darwin, Einstein, modern neuroscience and all the rest. And yet, none of the people in our culture, the hardworking souls that make this whole human experience work, believe this stuff, you know. They believe they freely act and you freely act and you're to be held responsible. And these same hardworking people send their kids off to college, and impoverish themselves only to hear the smartest people in our culture saying, “you know, there's no free will, it's all determined. And so there's this tension. How are we going to resolve this question? And you listen to this and these people actually believe – maybe some of you are determinist – but they actually believe that when you're born, you could be given a digital clock and on it would be how much time you've got on earth. And you could kind of check it every once in a while, see how you're doing. And you may be soon to expire or it may have another few years left on it and so forth and so on. And the only person that thought this whole thing was preposterous, of course, was William James, and he points to the roll of chance. There is no amount of determinism that's going to explain why this guy's life is about to be reordered by that yo-yo on the merry-go-round. These are the questions, that's the problem, that's the puzzle. And Jon Schooler, and Josh Green and Azim Shariff wanted to just make the demonstrative point that how you think about these things is important. They played a little game where they took two groups of students. To one group they read a very deterministic version of Francis Crick's book and then to the other, they read another part of Francis Crick's book that had nothing to do with determinism. Then they had to judge how much punishment to give somebody, who had committed a wrongdoing. The people that read the part about determinism (which biased them toward that view, of course) cranked it down because they had the model in their head that things are determined, “come on, give the guy a break”, whereas the other group that didn't have this going, socked it to the guy. Obviously, beliefs have a huge impact on how you think about it, which means how you want to view the justice system. So, this is a phrase that is operative here: "We are the law." How we think about all this, how we come to judge ourselves, how we view our fellow humans, is going to be the laws that we establish and run our society by. So how we resolve these questions will be crucially important. The person who sums it up for the tight view that the only scientific view is that we are machines and that there is no possible sense of free will, of course, is Richard Dawkins' with his quote where he said, "a truly scientific mechanistic view of the nervous system makes nonsense of the very idea of responsibility whether diminished or not, et cetera, et cetera, et cetera. Retribution as a moral principal is incompatible with a scientific view of human nature." I don't know if you've read his, "Let's Stop Beating Basil's Car," Basically, you don't punish your car when it's broken, you go fix it. Same should be true for humans is the story line. And he said he got the idea from this John Cleese skit. So here we are. We don't mind and we understand that clocks are automatic. We don't mind and we understand that cells are automatic. But we go absolutely nuts when people suggest brains may work in an automatic way. And so how do we get out of this dilemma? How do we get out of this notion that this dynamical system, as complicated as it is, is working sort of like a Swiss clock. And I want to argue that – and I finish on this – when you want to think about the problem of responsibility, you should just get rid of the idea that responsibility arises out of brains. It arises out of people. And I think this is a very crucial thing. And let me just summarize this. We know that brains enable minds, and that you have this vastly parallel distributed brain and this narrative system in there keeps your story going, so there are no ghosts in the system, that Steve has written so elegantly about ... so then it gets down to, so what does it mean to be free? We have this view, and we have this issue of responsibility, what does it mean to be free? And the key question is to ask the question, free from what? What do you want to be free from? You certainly don't want to be free from the physical chemical processes of the world, you want your arm to do what it does when you tell it, when it goes out there, you don't want it to go over there when you want it to go over here. And so the whole notion, I think, there's a realization for me, that the whole notion of this free will and the brain and determinism has been miscast. We just accept the fact that we have this automatic brain, and we use this as our metaphor. So cars are automatic, and yet cars with all their determinism that we can specify, in no way tell us about traffic. So when the cars start interacting in a social setting, you get all of a sudden, incredible new capacities that cannot be described in any way by studying the individual cars. I would just say the same with brains. Brains are automatic. But our freedom and our sense of personal responsibility come from the interaction, the social interaction, the glue of the environment, of the social grouping. And that's where you look for responsibility, and that's why even though we are these finely tuned machines and narratives and all the rest of it, we hold people responsible because that is the nature of the social exchange between people, and that's how you should look upon responsibility. I leave you with that quick, kind of too tachistoscopic view but it's where this project wound up, which is to say that we think the neuroscience is coming, it's not there now. But there's also this larger question enveloping all of this, which is all the work that neuroscience is doing is making us wonder what is the implication for how we think about justice? STEVEN PINKER: It seems that a lot of these questions on how do we reconcile the demand for responsibility with the understanding of the brain as a physical system could be to place responsibility with deterability. The problem with Richard Dawkins' argument which I think actually does not work, the humor in that Faulty Towers sketch is that it's pointless to punish a car. The thing is it's not pointless to threaten a human with punishment because unlike a car, the human can take anticipation of the contingencies of punishment into account beforehand and inhibit behavior accordingly. So if we've got the law that's enforced that says if you rob a liquor store, you're going to go to jail, people who know about that law might be less likely to rob liquor stores. And by holding people responsible, we actually drive down the rate of robbing liquor stores. That's not going to be true of cars, but it is true of people. And in fact, a lot of our intuitions about responsibility as they've been played out as criminal justice has been refined, as we no longer hang seven year old girls as they did in England in the 18th century, we no longer punish animals, we no longer punish tools which used to be done in the French legal system. We're converging on the idea that the whole point of criminal punishment is really to deter those creatures that can be deterred. So you don't punish kids because we figure a contingency whereby kids are thrown in jail won't really register with kids because they're too immature; we have an insanity defense which more or less coincides with the ability to be deterred by a threat of criminal punishment; we mitigate punishment in the case of crimes committed in the heat of passion, not a coincidence that those are exactly the circumstances in which the threat of being punished is less likely to inhibit behavior. And so it seems to me, we could actually keep responsibility without any mystical belief in free will or cosmic balancing the scales. We could realize that what responsibility really is converging toward is deterability, namely, the use of punishment to proactively reduce kinds of behavior we would like to reduce. MICHAEL GAZZANIGA: That's a perfectly useful position there. The problem is that it doesn't work on this group of people. So we have this view of deterability, basically derived from rat work, and whatever is functional in moderating people's behavior so they don't do antisocial sorts of things. It is obviously more of a social construction in humans. There is something wrong with these people because they say they won't do it, and then they go back and they do it. And what's that? Neuroscience jumps in at that point and says, look, the thing's broken somehow, and how are we supposed to attend to that. STEVEN PINKER: Even there, the theorists of punishment distinguish between specific deterrents and general deterrents. And even if the psychopaths that you put behind bars just recidivise when you let them out again, you also have to factor in all the third parties who see their neighbors going to jail and think, gee, well maybe it's not such a good idea for me to do that, and those people never end up in jail in the first place. By having this set of rules, because we're not rats, we're language-using organisms, we care about reputation, we know what's enforced, what isn't enforced, there can be a proactive change in behavior by enforcing responsibility even if it doesn't work for some subset of people. It's a legitimate question if it were really true, and I don't know if there are any data on this, do psychopaths commit crimes at the same rate if the police announce that they're not going to arrest psychopaths as if they do? Granted, it's not perfect, you don't have perfect compliance with the law among psychopaths even with the criminal justice system. What happens if we said, okay, psychopaths, since we know you can't be deterred, from now on, we're not going to arrest you because it won't do any good. Would they actually commit crimes at the same rate? I suspect there is some elasticity even in the behavior of psychopaths, even if it doesn't push it all the way to zero. Anyway, that seems to me to be the relevant question here. DANIEL KAHNEMAN: What really keeps justice going is retribution rather than deterrence. So it's very clear if our intuition about justice, like for example, what is the justification for the difference in punishment between murder and attempted murder? Which is huge. And we all have that intuition that murder and attempted murder are very different except that attempted murder turns into murder if your hand doesn't shake. So the intuitions that keep all that thing going, they are moral intuitions, they are built into infants, they are really inborn and they are really there. Then there is the justification of the legal theory that hangs it all on deterrence, and to some extent influence of the law. But the strength of this, the power of this, the sense of free will and responsibility and indignation, that's all built in, that's what we just heard. And in that sense, we're built to assign responsibility to other people, we're built for indignation, we're built to sense free will. You know, that just happens to be the case. And you are talking of reconciling, it can't be reconciled. You know, we have those primary intuitions about what we are and what other people are, and then there are the facts of the matter, and we are going to keep our intuitions. And the facts of the matter will be there. And we attempt to reconcile, but we never will be successful at reconciling. STEVEN PINKER: Just to take an example in the news that I think illustrates that, anyone who logs on to the Google home page knows that there's this person named Casey Anthony who has just been on top of the news feed every day for weeks and weeks and weeks. And there's an enormous amount of indignation that this person was found not guilty even though our intuition says, yes, she must have done it. In one sense illustrates your point that indignation is not going to go away even though by the procedural standards of the criminal justice system, she should not have been found guilty. On the other hand we have jiggered the system so that she is walking, probably justifiably so, because we can't prove that she did it. And so the price that we pay is the sense of justice denied and we feel grumpy about it, but we still have succeeded in arriving at a system that probably did the right thing. So I think this is the price that we pay for this indignation, even though we might be able to have a system that can function despite it. DANIEL KAHNEMAN: I was just responding to the issue of reconciling. And, you know, we can trust the fact that there will be indignation in the next century, whatever neuroscience finds. 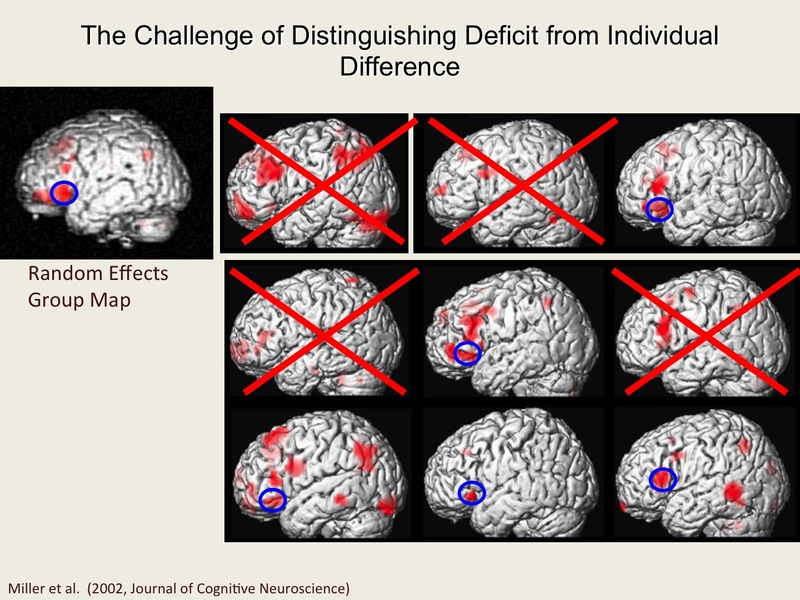 And that this is what's going to keep society going if anything does, it's going to be indignation and not neuroscience. Perhaps that's the point that you were driving at. LEDA COSMIDES: Just as a sort of weird point of information about psychopaths, Elsa Ermer—one of our former students who’s working with Kent Kiehl—she's been going to prisons and she’s been giving reasoning tests to the psychopaths. And—this is even controlling for IQ—, the psychopaths have a huge impairment in their ability to detect cheaters in social exchange, and in their ability to detect people who are in danger by virtue of having violated a precautionary rule. It's a r = ~ -0.40 correlation across the prison population. The higher your psychopathy score the worse you are at these two reasoning tests. It's very weird because the image of psychopaths is thatthey're—well, this is about detecting whether somebody else is cheating. But it's odd because sometimes people describe them as being very socially intelligent. DANIEL KAHNEMAN: But they have no empathy. LEDA COSMIDES: Yes, described as having no empathy. Well—this is not published yet— but their welfare trade off ratios (we gave them those scales using our method), those look like everybody else's. But their ability to detect cheaters in social exchange, that was impaired. And we thought it would be exactly the opposite because of the usual description of it. Which was very odd. Elsa’s probably going to end up in court, too. MICHAEL GAZZANIGA: I would comment that as a result of being exposed to this in this project, there's a great raging argument now whether psychopaths know moral good or not. Some people say they're completely normal on these scores and other people say they're abnormal. The survey tests are at odds about their ability to make a moral judgment. And I don't know what the answer is. DANIEL KAHNEMAN: Don't they have the cognitive ability to know what other people's judgments would be, although they don't feel the indignation that goes with it. So it's a motivational and an emotional impairment. LEDA COSMIDES: That's how people usually talk about it. We were just surprised because this [the reasoning task] is an information search problem: like what do I need to know to know if this person has cheated. We didn't expect them to be so bad at this. JOHN TOOBY: I’m quite a bit of Steve’s persuasion. I've always been baffled by two types of partitioning in this kind of discussion. One is the one that says some people are responsible but others are not. If we were all determined why is anybody responsible for anything? And the other kind of thing is within individuals, the idea that this part is broken and the other part is intact. They’re still both deterministic systems. And so abnormality and determinism are both irrelevant to the issue of responsibility. It seems to me that this sort of notion that the legal debate about "my client here, specifically, is not responsible, unlike everybody else", seems to be inherently self-contradictory.